The first part of this end game raiding guide focuses on using your equipment wisely to achieve the ultimate victory. Crota’s End is the hardest content currently available in Destiny. When this raid first launched on Normal Mode your favorite spoons struggled to take down the end boss. We felt like we were beating our heads against a wall, we just didn’t know the strategy. As soon as we became a well oiled machine, Hard Mode dropped and we struggled again. But now, we are a well oiled machine again. If you want to get the best loot in the game, here are some tips that will make you a better raider in Crota’s End. The entire guide will span three parts and multiple tips to make you Crota’s new master. I cleared Crota twice last night. I ran sword once on my Hunter and was the bubble Titan on my second clear. We tried to go for a third clear with my Warlock but it was getting late and the group just wasn’t there. I want to note that each of these groups was a pick up group found from destinylfg.net and the make up of classes and gear was different every time. I’ll also say that the first two clears were at least as clean as any run with the my fellow spoons. It is definitely possible to clear Crota with strangers found on the internet. This guide may make you one of those strangers. Crota’s End is designed as a sort of gear check for your characters. If you do not have the right gear, it will be very difficult for you to complete the raid. Because of the Presence of Crota debuff, your health does not regenerate. Therefore, you need some gear that allows you regenerate health or just never take damage. Each class has an exotic item that restores health when you pick up an orb, Warlocks have Apotheosis Veil and Light Beyond Nemesis. Hunters have the Mask of the Third Man. 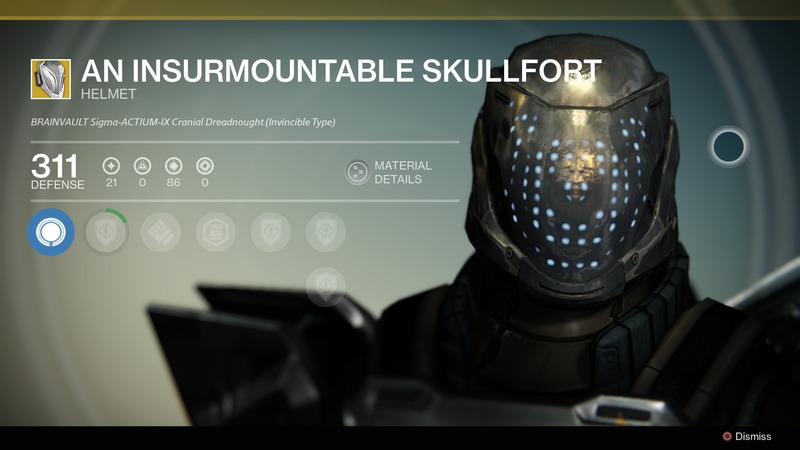 And Titans have An Insurmountable Skullfort. As a bonus some of Crota’s raid helmets have this perk attached to them, but this is very rare. Beyond that, each class has an ability that will help with health regeneration. Striker Titans can melee to restore health with Transfusion. Bladedancer Hunters can use arc blade and blink strike to restore health with Hungering Blade. Sunsinger Warlocks can revive with Fireborn. Finally, there are two exotic guns to help with health regeneration. Suros Regime has a chance to restore health when firing bullets from the bottom half of each magazine. Red Death restores health when you kill an enemy. As you can see there are many options for you to choose, but you must have at least one of them. Death when fighting Crota is very punishing. Not only does it spawn an Oversoul that wipes the team if it’s not destroyed, but it also leaves your team down a player and costs valuable damage per second. It seems so easy. Fire rockets. Yet so many groups live and die (mostly die) by members of the raid not firing rockets on Crota. 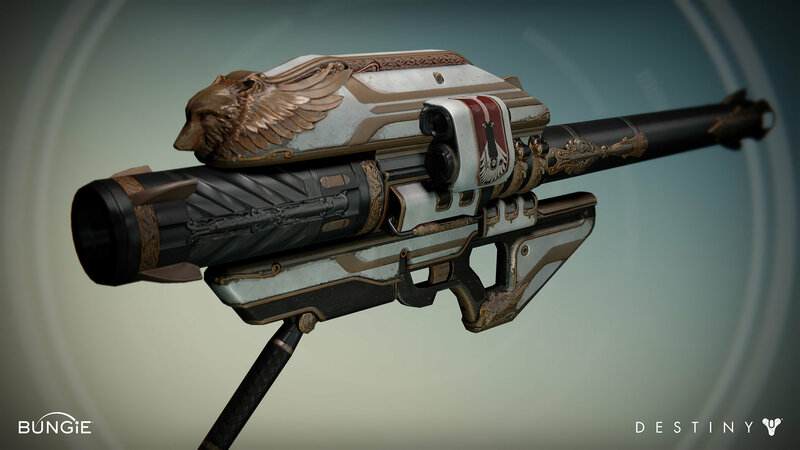 We often look for players that have Gjallarhorn, but you don’t really need it. Gjallarhorn is just nice to have because it makes up for people who don’t fire rockets. You can certainly down Crota with 5 rockets from Hunger of Crota, but you have to use them. The Heavy Ammo glitch can help with this. This glitch happens when you empty all heavy and primary ammo before the Crota fight, and then equip and kill enemies with Ice Breaker. Many purple globs of heavy will drop! However, do not make the rest of the team wait an eternity for you to empty clips. Use a gun with a low maximum ammo capacity and a high rate of fire. I found that shooting No Land Beyond, even with its maximum 18 rounds still took quite a long time. Good guns for this include Vex Mythoclast and Oversoul’s Edict. The heavy ammo glitch will give you plenty of rockets for the fight. You can also buy heavy ammo from Xur, sometimes. One strange coin will net you 5 heavy ammo synthesis! There is no better deal in gaming. If you are attempting the Hard Mode raid, you should be able to clear the Weekly Heroic Strike with ease. Each Level 30 Weekly Heroic will grant you 9 strange coins. Spend those in the right place and you will have 45 heavy ammo synthesis in no time. Forty-five is more than you will ever need in one run of Crota’s End, so use them! Don’t worry about running out, because you can run the Heroic Strike each week on three characters for a total of 27 strange coins and a possible total of 135 heavy ammo synthesis. Rockets can also be extremely deadly. The last thing to remember about firing rockets is, DO NOT FIRE THEM INTO SOMEONE’S BACK. This is a common problem with new groups, especially when using the heavy ammo glitch and finding yourself with more rockets than you know what to do with. Sometimes this just means spreading out along the window ledge. Keep in mind that the swordbearer is always moving quickly, therefore it is common for Guardians to strafe to get a better angle. With lots of movement, someone might walk right next to a Gjallarhorn and take the explosion in the back. This is bad. A couple sniper shots to the head and sword bearers fall. If you are firing rockets at enemies, including the Ogres, just make sure you are clear of surrounding Guardians. Now you are a better raider, but not the best. Coming up soon we will look at a how to run a good sword, and what to do if you aren’t the sword guy. Remember to have the right gear going into the fight. Red Death has eluded me thus far, but I still have many ways to heal myself. The heavy ammo glitch has been a life saver and saved me lots of glimmer. But I don’t need glimmer to buy heavy ammo synthesis I can just use my hoard of strange coins. Check back tomorrow for some sword holding tips. I like to think of it as just a big spoon.